MillerCoors are giving you the chance to make videos for Miller64 and earn $15,000 in payments. Miller64 celebrates the you that takes the stairs. The you that wakes up early every Saturday to play softball. Miller64 won't undo the effort you put in - we're brewed for the better you. 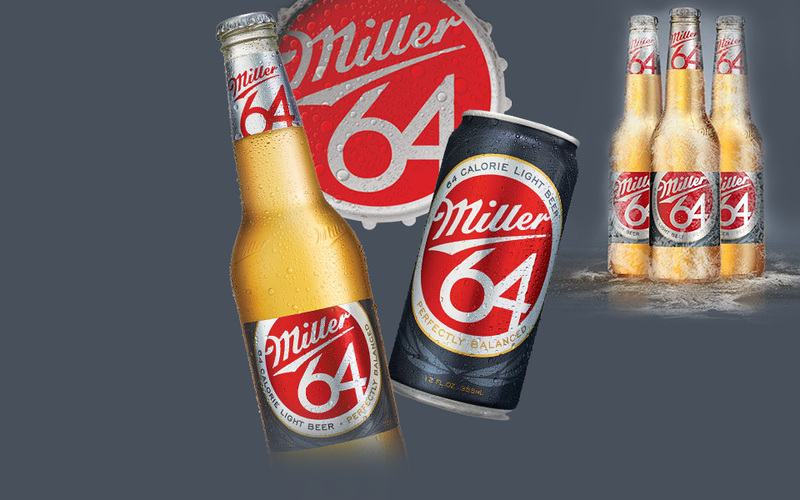 Miller64 has only 64 calories, 2.4 carbs, and a crisp, light taste. Create a 30 second or less video in line with one of the 2 creative briefs below. Make sure you read all the information provided for this project to give your video the best chance of winning. We want this video to be clever, entertaining and engaging enough so that when someone sees it they want to watch it again and share it with a friend. Single most important message to convey in your videos: Miller64 is great for people who live a balanced lifestyle and don’t want to undo all their efforts. Create a video about how one might choose to do a little extra in their daily life, i.e. take the stairs versus taking the elevator. The video should incorporate leading a balanced life of being active and healthy but also having fun and being social. Please try and use a seasonally ambiguous look and feel i.e. it would make sense to see the video any time of year and keep the settings outside of office scenarios. Create a video that tells a story about resolutions for the New Year. The resolutions should have to do with leading a balanced life of being active and healthy but also having fun and being social. Please try and use a seasonally relevant look and feel for this brief i.e. it make sense to run this video around the holiday/winter season in January/February. We have made several assets available to use in your video, including songs, product images and a mandatory end frame. Please log in or register and familiarise yourself with all of these on the assets tab. You are free to use the provided songs however you see fit. You can use the full track. You can use the instrumental version as provided, or add your own lyrics to make your own jingle. Or you can just listen to them for inspiration, but not use them in your video if that works best for your idea! You can also shorten any of the tracks if you want to. There are different versions for 'Resolutions' and for 'A Little Extra', so be sure to use the right song depending on which brief you are responding to. 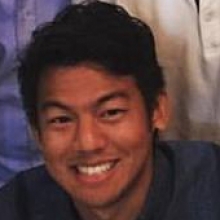 30-35 year old men (without alienating women) who are active and social and enjoy living a healthy life, but being healthy does not define them. They enjoy being social and going out with friends (girls and guys). Keep the same lighthearted, celebratory tone of the current campaign. There should be an element of being unexpected and clever rather than slapstick funny. - You are permitted to submit videos to both briefs, as long as each video addresses each brief respectively. - Significant branding will help your chances of winning, refer to the assets tab. - Product inclusion is preferred. - Showing social male & female situations are preferred, rather than just males or just females. - Must have the line “To Miller64” somewhere in your video, eg. in dialogue, lyrics, text on the screen etc. Videos will be judged by Miller64, Saatchi & Saatchi and Genero based on their creativity, quality and execution of the brief. You are permitted to submit videos to both briefs, as long as each video addresses each brief respectively. - You are not permitted to upload your video to any other site, or to make it public via any other means. The only permitted use is to upload your video to Genero.tv. - Depictions/descriptions of drinking (if any) need to be responsible. - Do not encourage or show any type of over consumption of beer or liquor (this includes chugging beer). - Do not show people lacking control over their behavior as a result of consuming beer. - Do not portray women in an inappropriate manner. - Do not have any children on camera, or anything child-like. - On-camera principals must be at least 25 years of age. - Filmmakers must be at least 21 years of age. - No trademarks or names of other products can be anywhere in the video other than Miller64 (be aware of backgrounds you choose to ensure your video does not have brand logos in it). - Do not use any foul language or lewd behavior. - Do not have any type of tobacco or illegal drugs in the video. - Do not show any power tools or heavy machinery. - Cannot show people being active and drinking at the same time. - Do not violate any laws or imply laws are being violated. - Be aware that your video may be edited or otherwise altered after submission. These Competition Terms and Conditions are applicable to the Miller64 Competition (the "Miller64 Competition"). These Competition Terms and Conditions and the other documents specified in clause 2 form an agreement between Genero Music Pty Ltd (Genero) and you – the legal person who enters a Competition (Entrant, You, or Your). By participating in the Miller64 Competition, Entrants agree to abide and be bound by these Terms and Conditions, which shall govern the Miller64 Competition for all purposes, together with those documents specified in clause 2 below. These Competition Terms and Conditions are unique to the Miller64 Competition, and may differ from the Genero Competition Terms and Conditions at http://genero.tv/competition-terms-and-conditions. When entering the Miller64 Competition, these Terms and Conditions will be linked to from the Competition Page. By ticking the relevant box before uploading your Video, you are confirming that you have read, understood and agreed to these Competition Terms and Conditions, and that you have obtained legal advice or have knowingly declined to do so. The Miller64 Competition is open to all filmmakers who are members of the Website (defined below) and 21 years or older. Entrants must make a video that executes the brief as detailed on the Competition Page, and that follows all the additional guidelines and mandatories, also detailed on the Competition Page. The Assets (defined below) may be used by Entrant solely for entering the Miller64 Competition and for no other purpose. In order to qualify for the Miller64 Competition, entries must be submitted via the Website (defined below) via the appropriate Competition Page (listed above) during the Competition Period (defined below). The following judging process will apply. Videos uploaded will be moderated and will be published on Website if they are deemed by Genero, in its sole discretion, to be of a sufficient standard in creativity and quality, as well as executing on the brief and meeting all Entry Requirements. Genero will then select a shortlist of Videos from all eligible entries based upon creativity, quality and executing on the brief, from which, one (1) Winning Video and two (2) Runner Up Videos will be selected in total by the jury. The Winning Video and Runner Up Videos will be selected based upon creativity, quality and executing on the brief. All Winning Videos and Runner-Up Videos will be announced within 3 weeks of the appropriate Competition Close Date. One Runner-Up Video will receive USD$3,000.00. Another Runner-Up Video will receive USD$2,000.00. Assets mean any information, material or property published on the Website or otherwise made available, for the sole purpose of it being downloaded by Entrants for the Miller64 Competition. Without limiting the generality of the foregoing, the Assets include the songs, logos, trademarks, product images and closing frames. Participant means a performer, group or person who appears, either directly or through reference to name or likeness, in a Video, and who must be 25 years of age or older. Release Form templates which have been made available must be used as provided, and not edited. 5.2 You must obtain and retain a signed Release Form from each person that appears in your Video. It is your responsibility to ensure that any Release Form is correctly completed in full, including the attachment of identification. For clarity, you are not required to provide a Release Form for the Assets appearing on the Website for the Competition. 10.5 Subject to any restrictions herein, for all Videos other than the Winning Video and any Additional Videos, Entrants retain the rights to their original video footage to the exclusion of any Assets or other copyright or non-original material. Notwithstanding anything else contained in these Competition Terms and Conditions, Entrants will have no right to use any Asset, including as part of any Video, upon the conclusion of the Miller64 Competition. My goal was to create a fun and quirky animation, with a lot of little details, that would make viewers want to watch it over again. I wanted to try creating something unique so I came up with my own lyrics for my character, 'Rick'. I'm not a great singer, but I tried my best..
to be slender and fit. I lunge while I brush. I do squats at the fridge. then I bench press the kids. with friends in or midsts.